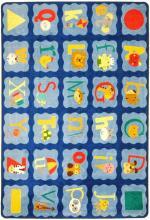 Our Alphabet Rug contains patterns of each letter in the alphabet, accompanied by an image that helps young children to remember a letter's sound. 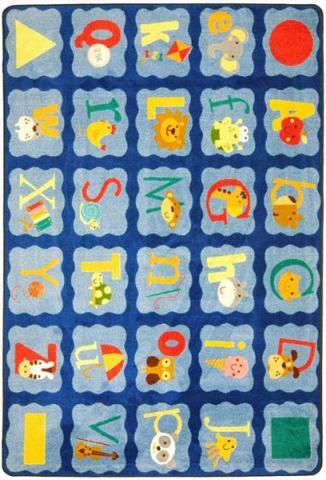 You students will quickly learn the phonetic sounds of the alphabet by sounding out animals, toys, and shapes designed into the Alphabet Rug. Our durable design includes the use of SoftFlex®, a tightly woven material that prevents wrinklies and is easy to clean. 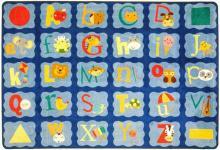 Roll out our patented rug on hot days to protect your students from sitting on an uncomfortable linoleum or wood floor.